MAG Subscriptions. Journal of Kidney Care - Sale! The Sale is now on! 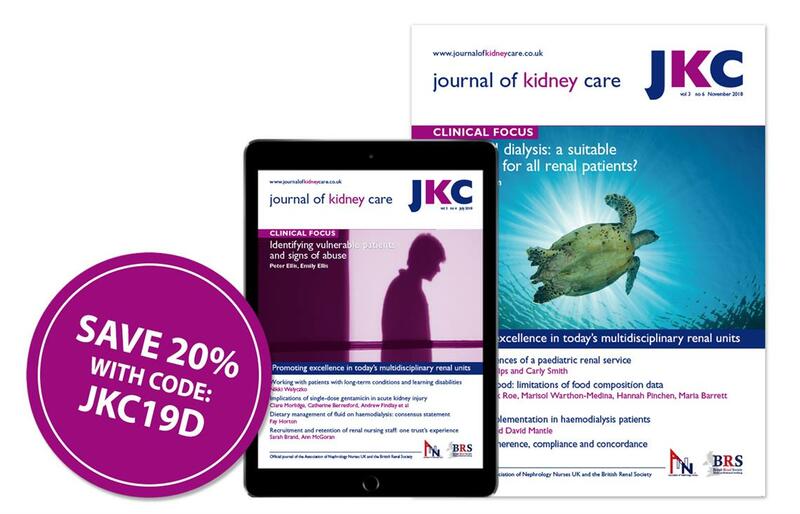 You can save up to £20 on your subscription - order now with code JKC19D. 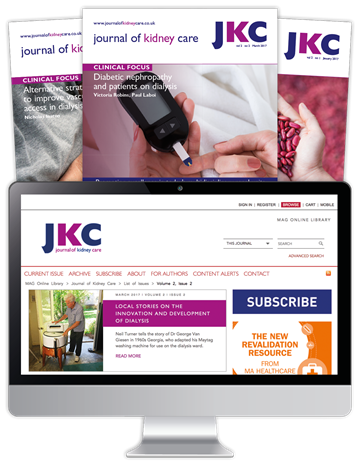 Journal of Kidney Care (JKC) is the essential bi-monthly peer-reviewed publication for all members of the multidisciplinary renal team. It covers several clinical areas of renal medicine, such as dialysis, transplantation, diabetes, anaemia, pharmacy and nutrition. 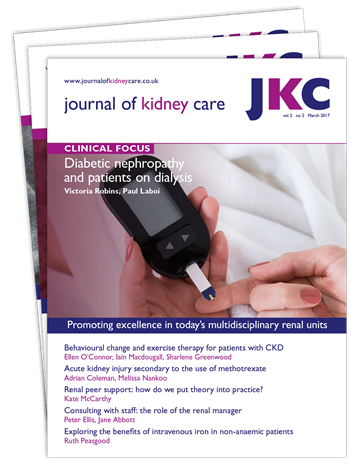 Every issue of the journal will have a clinical focus on one of these key aspects of kidney care. 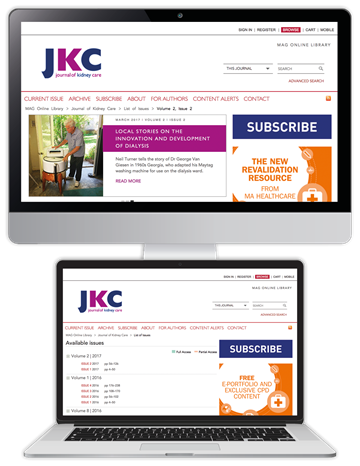 Formerly Journal of Renal Nursing, JKC was relaunched to reflect the multidisciplinary nature of kidney care and the wide range of the journal's content. This once-a-year offer ends on 11th June (11:59PM GMT).